On March 17th I married my husband, Mackenzie and the following September we decided to see a specialist because I knew something was off. I was ending up in the emergency room on a regular basis due to having horrendous periods with crippling pain that left me bedridden. I knew cramps could be painful, but it wasn’t supposed to be like this. The specialist was wonderful, but she delivered news we hadn’t expected to hear only 6 months into our marriage. She was pretty sure I had endometriosis and our insurance at the time wouldn’t cover the procedure until we had tried to conceive for a year and failed. I immediately went off my birth control and she documented that we were trying to conceive. Right at the 1 year mark we moved from Oregon to Georgia. I found a new doctor who I loved even more than the first. She said she couldn’t be sure but she thought I did not have endometriosis. After I went off my birth control everything improved. My periods went from 2 weeks in length to 4 days. My cramps were barely noticeable compared to what I was used to. She thought maybe my body just didn’t do well on hormones. 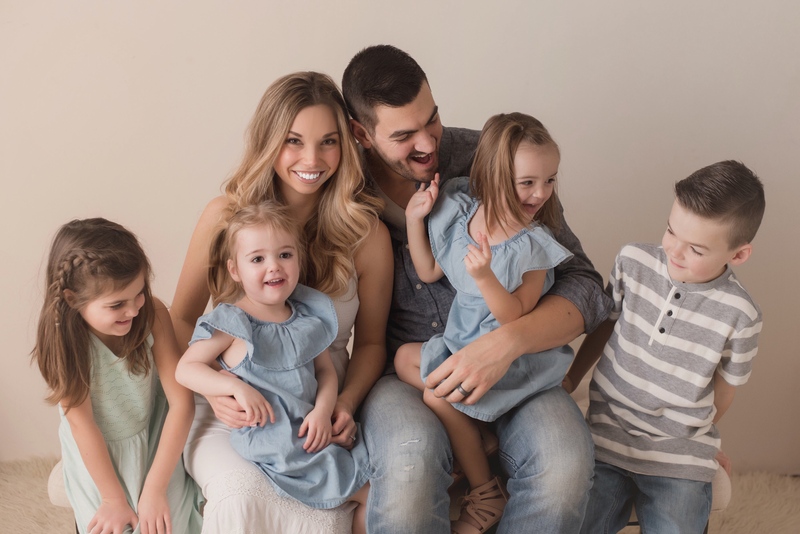 She was concerned that we had been trying for more than a year at that point but was reluctant to start me on fertility medications because of my previous record with hormones. We made an appointment for January and If I wasn’t pregnant by then, I would be started on something. On November 8th, which was one month later, I conceived and the following January appointment turned into our first Ultrasound. It was then that we discovered we were having twins. We had been joking about it because I was already starting to show. I had never considered that it was a real possibility but it was the best news I had received in a very long time. On June 20th, 2014 I was admitted to labor and delivery for the 10th time since 21 weeks of pregnancy. This time I was 33 weeks and it was very different. Upon a quick exam it was decided that the girls were on their way and there would be no stopping them. It was go time. Within an hour of getting to the hospital I was placed on magnesium. They knew it wouldn’t be a long term labor staller but they hoped to stall things long enough to get steroids in to develop the girl’s lungs. Ideally they needed 48 hours: 24 hours between the shots and another 24 before I delivered. When I started the magnesium I was 3 centimeters dilated. Every 6 hours they checked me and I was progressing right on through the magnesium. It was decided that when I reached 6cm they would stop the magnesium and put me on Pitocin so we could get the girls out quickly and safely. I was ecstatic to know there was an end to the magnesium in sight. Some people get sick as a dog on it. I was fine physically but my mental state was altered. Everything was blurred by it. I was hallucinating. I saw a duck run through the room, followed by baby chicks. I couldn’t even see my doctor’s face when she came in. 24 hours after I had the first shot they administered the second steroid shot and checked me again. I had passed up 6cm and it was time to stop the magnesium and start the Pitocin. I was starting to feel quite a bit of pain around this time so I asked for an epidural. It took two hours for my epidural to arrive. I was very uncomfortable and kept progressing quickly. I wasn’t allowed up because of all the medications I was on. I had planned on walking through the contractions. That wasn’t possible. I had heartburn that I thought was going to kill me, but because I was a C-section risk I wasn’t allowed to have anything. Everything was burning because it was discovered after they had placed a latex catheter that I had developed a latex allergy during my pregnancy. These two hours were the most miserable. Around 2am I was 9cm. I was so excited. I couldn’t wait! 9cm meant it was practically baby time. Wrong! It took two hours to get to 10cm. The moment they said 10 I could have cried with happiness. Wrong again! They called the doctor and she didn’t want to come down until baby A’s head was practically falling out. For another hour I experienced the 2nd worst part of childbirth. I felt like I needed to push but they wouldn’t let me. My epidural wasn’t working and nobody believed me. They kept telling me I was just feeling “pressure”. I knew they were wrong but I had to save all my fight for the pushing. It had to be coming soon… we couldn’t stay at 10 forever. Finally at 5:00 am on June 22nd I was wheeled back to the operating room. 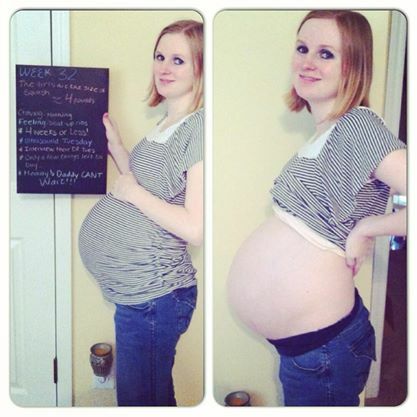 This was just a precaution because of the risks associated with a multiples delivery. Just before 5:05 they let me start pushing. I had been sure that I would need them to tell me when to push so that’s how we started out. It didn’t work for me. I started battling my asthma. It was quickly decided that I would need to be in control. It was also decided that I needed an episiotomy. At that time they realized I had not been feeling “pressure”, my epidural really wasn’t working. At 5:15 am Olivia was born. 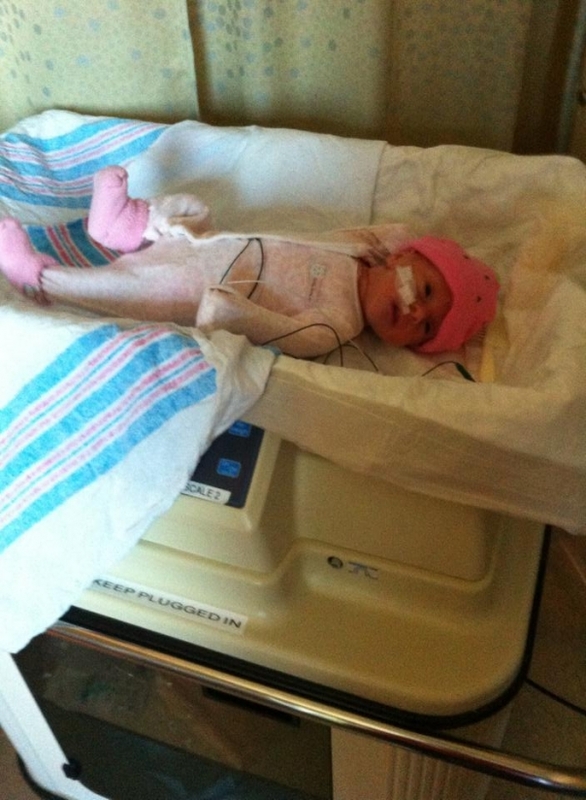 She was immediately taken away and given to the NICU team. She wasn’t crying. I was. I kept demanding they tell me she was okay. When I was calm they broke the second sac of water. The nurses were holding baby b in place so she couldn’t flip. I was ready to push but they wanted me to rest a couple minutes. When I finally got the green light I pushed her out in less than 2 minutes. Audrey was born at 5:22 am. She came out letting the world know she was here. That was a huge relief after Olivia’s silence. 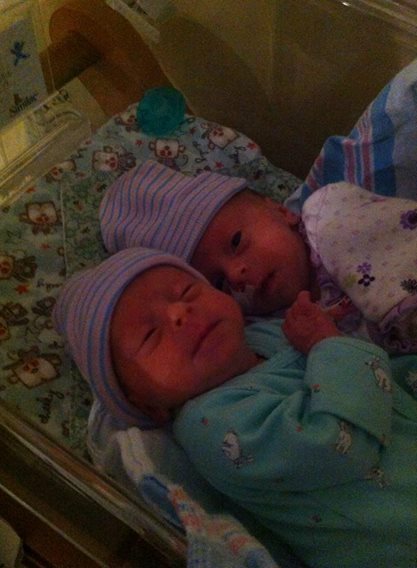 Both of them were born breathing on their own but their personalities were already shining through! As the NICU team assessed the girls I delivered the placenta and was stitched back up. They brought each baby by me quickly and I was allowed to look but not touch. If you want to know what it feels like to have carried babies for 33 weeks, fought to get them to viability, labored for 48 hours, pushed them both out and then been told you couldn’t touch them I suggest ripping your heart out. That killed me emotionally. They are my babies and I wanted to make the rules. Why was a total stranger able to snuggle them before their mommy? Almost 8 months later that is still a struggle for me. By 5:40 am I was back in my room and set to recover. 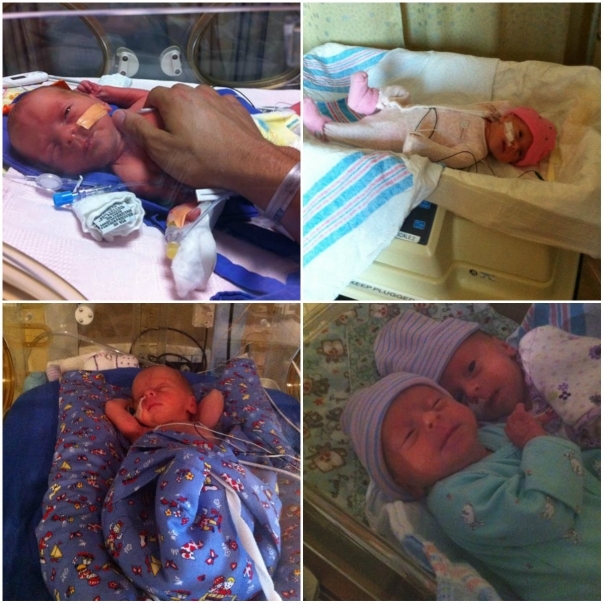 They took both girls to the NICU and didn’t let anyone go with them. They promised to come back for my husband in 30 minutes but an hour later when he called them we were informed that he wouldn’t be allowed to see them until shift change was over at 8:30 am. That is something I would change if I could go back. I had no fight left in me at that point or I would have. For the first 3 hours of our daughters’ lives they had no contact with us. After I delivered the girls I pretty much forgot that I had just given birth. I was sore but I didn’t think much about that. 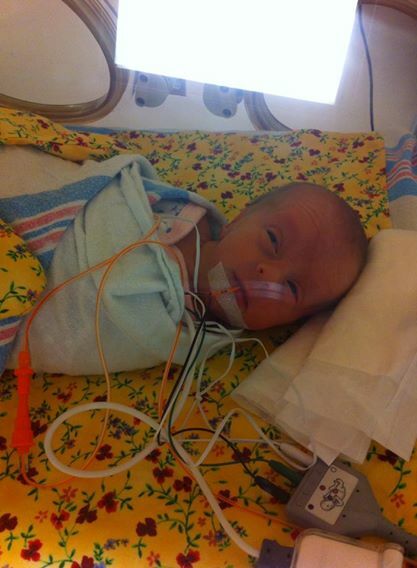 I spent the next two days going back and forth between the NICU and my room. The first day my husband was there to wheel me around. The next day I was on my own and had to make the long walk downstairs alone. My husband had just got a promotion at work and had to return for training if he wanted to keep it. My mom was sick and not allowed in the NICU. That right there leads me to a HUGE piece of advice. If something like that happens do not try to be a trooper. Get a friend in there with you. 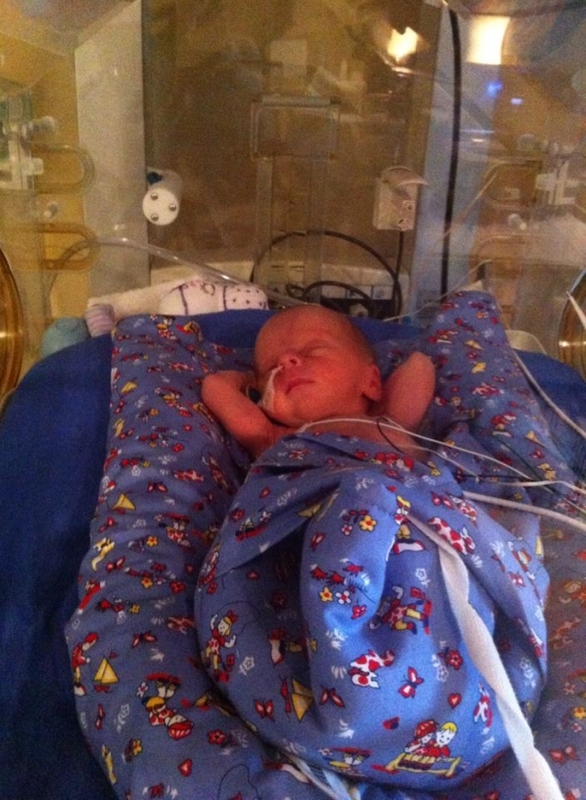 Being a NICU mom is the hardest thing I have done. Those first few days I could have really used a friend there to hold me up. I tried to “take one for the team” when I should have let myself beg for support. That first day was tough. There were so many rules I had to learn. When I could touch my girls; only 30 minutes out of every 3 hours. 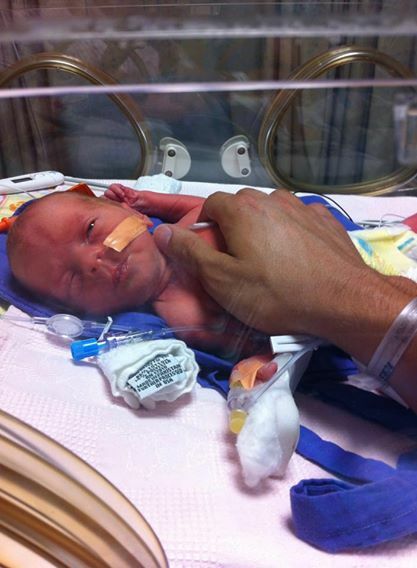 How I could touch my girls, not gently because that is apparently irritating to a preemie. I wasn’t even allowed to hold them immediately. It was hours before that happened. That day the doctor came in to tell us what we could expect. Audrey was 3lbs 15oz. Olivia was 4lb 6oz. They would be staying there until they could eat on their own, were growing at a good rate and could manage their own temperatures. They told us it could be a slow process and to be prepared for them to be there until their due date. That freaked me out. That was 7 weeks! Luckily for us the girls only needed 16 and 17 days to be ready to go home. Those days all blurred together. There was a lot of stress and pressure and there were a lot of things I was told that I took as gospel. That leads me to my biggest piece of advice for all NICU moms. Remember that you are the mom. You have more rights and a bigger say than you may be lead to believe. I didn’t understand that until a couple days before they came home. I was a pumping mom so the girls got bottles. All of a sudden I was told that my parents could no longer feed the girls when they came to visit. They said the girls needed to get use to my husband and my feeding styles. Right there I realized that I had the right to make a call. I told them I thought that was absolutely absurd considering they weren’t having any problems, were finishing every bottle and my mom would be the one helping me while my husband was at work. Imagine my surprise when they listened to me. The whole time I had allowed myself to be bossed around when it came to silly things, like how to touch them, when my opinion would have been respected. While my start to motherhood may have been unconventional, it has been an amazing journey. I wouldn’t trade one minute of it for anything. Being a twin mom has totally changed my life. It’s crazy but it’s beautiful. Ashley Hackenmiller gave up her career in Dialysis to stay home with her kids. She lives with her husband and identical twin girls in Georgia. In her free time she reads, takes bubble baths and enjoys traveling. She looks forward to continuing to grow their family in the future. You can follow Ashley on Instagram @mrshackenmiller and her blog The Happy Hackenmiller’s.